One of the great challenges for brands and journalists alike is engaging consumers in an era where information is a snack and not a meal. One of Minnesota’s premiere political reporters is now measuring that engagement by seconds in addition to column inches. The Minneapolis StarTribune’s Rachel E. Stassen-Berger is more than a newspaper reporter. She’s a multi-platform, multi-channel journalist who writes, blogs, tweets, and even produces video stories for startribune.com. With more than 36-thousand tweets she is a prolific user of Twitter and one of the state’s most followed political journalists. And it’s through Twitter that she’s experimenting with seven-second Vine videos to engage her followers in new ways. “We’ve been using Vine for a while in various ways and I’ve sort have played with it a little bit in journalism,” said Stassen-Berger. Like most news organizations, the StarTribune has encouraged its reporters to embrace social media and use various channels such as Facebook, Twitter and Vine to reach their readers where they live in social media. New research from John H. Parmelee in the Journal of Media Practice shows how most American political reporters have settled in on Twitter. 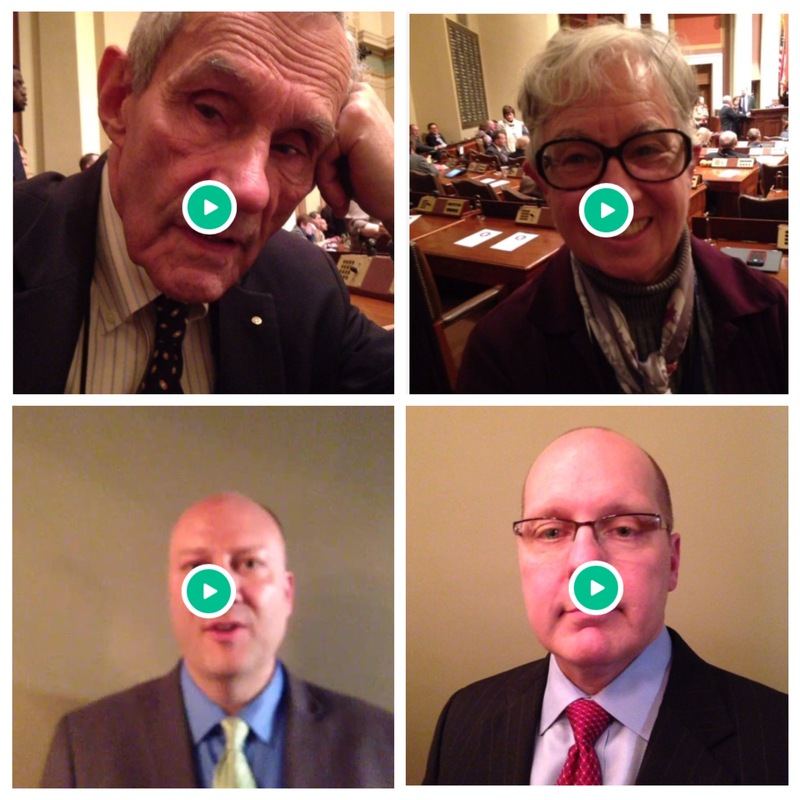 For Stassen-Berger, the perfect opportunity to expand her use of Twitter with embedded Vine videos came during Governor Mark Dayton’s State of the State address where she approached Democratic lawmakers inside the House chambers and asked them what they wanted to hear from the Governor. After the governor’s address, Stassen-Berger captured the Republican response from two candidates seeking the party endorsement to run against Dayton. For Stassen-Berger’s followers, the tweets and vines when followed in real time help tell a brief narrative about the story. Furthermore, the Vine video with sound extends credibility to the tweet and makes the news event itself more accessible, more real. “I think the moment that it crystalized with me as a good use of it was actually on caucus night,” said Stassen-Berger. Through trial and error, Stassen-Berger says the secret is to come up with a focused question that the subject can answer very quickly. It also takes persistence and a little patience. “It takes a couple of takes. Because it’s only seven seconds and it’s a challenge,” she said. That important insight collides against further Pew research that shows the number of consumers watching online news videos is steadily growing—now more than half all online video viewing. (Figure 2) Increasingly, more of that video is consumed on mobile platforms. Digital analytics agency comScore just released new research showing mobile video viewing has risen 37% in the past year among German consumers, a strong indicator of a trend that is typically later matched by U.S. audiences. 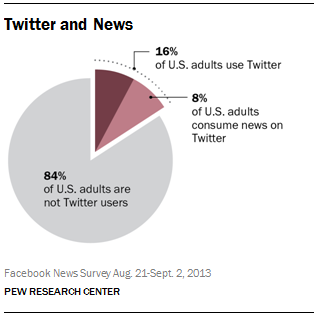 Pew also finds that the viewers who are watching online news videos dramatically trend young. 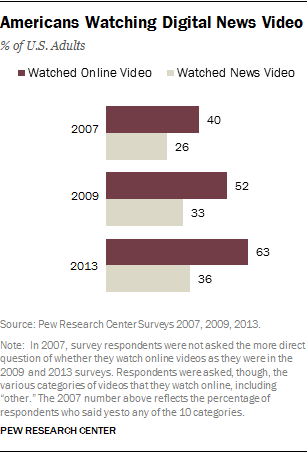 Nearly half of all 18-29 year olds watch online news videos. This is a critical audience to news organizations as they try to engage young consumers who watch less television news and read fewer newspapers than previous generations. Furthermore, the use of Vine in news coverage doesn’t just tend to lend more credibility to the story but also the storyteller. After all, much like the newspaper she writes for, Stassen-Berger is a powerful brand herself. By using Vine to give her followers more accessibility to the stories she’s covering, she also builds upon an important theoretical model that I’ve established called the Blotz Typology. It’s a four-part model that provides a road map toward building and sustaining credible online relationships that in turn could lead to more engagement and more followers. Stassen-Berger just sees it as another way to tell a story. “People do react and it allows them another way to see the news,” she said.